Touch it - Easy-glide Touchpad operates like a computer with a mouse. Graph it - The new Scratchpad on the enhanced Home screen allows you to quickly perform calculations and graphs without saving your work. 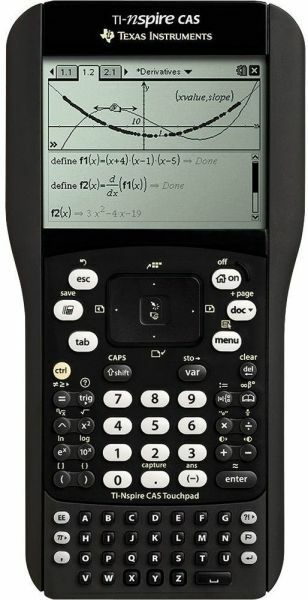 CAS handheld with Touchpad technology for calculus and AP courses. Includes student software for home. On the home screen you can quickly perform calculations and graphing using the scratchpad. Also includes ti's first learning handheld with touchpad technology operating more like a computer and making it easier to navigate. Handhelds can use the ti-nspire rechargeable battery (not included).